Paulownia timber is light and in the same time extremely strong, that makes it preferable, when this correlation is important. The timber of P. elongata and P. fortunei is twice the light of oak and lighter than coniferous species timber. The high ratio of strength/weight makes the Paulownia timber irreplaceable in shipbuilding, aviation, for surfboards, caravans etc. 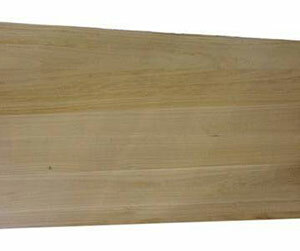 The low weight is the main advantage of the Paulownia timber. The density varies between the different species and local conditions, but all of them formed extremely light timber. The correlation strength-weight (main quality coefficient) in comparison with other timber specie is high, which makes the Paulownia suitable for some applications that require soft but relatively strong wood. Coefficient of deformation is lower than the most commonly used timber. The paulownia timber does not warp, crack or deform during drying and objects made from paulownia retain their original form. The timber easily allows all types of treatment. The strength, smoothness and the lack of blemishes make this timber the preferred choice for furniture linings, veneers etc. The timber is with amazing resonance which makes it highly valued and sought for musical instruments. It is light in color and it stains well with all varieties of colors. The Paulownia timber can be air-dried fast (without kilns). The necessary time to be dried in kilns is between 24 to 48 hours and outdoors – 30 to 60 days. Paulownia retains little moisture (up to 10-12%). The timber is water-resistant, it is exceptionally stable, withstands warping, breakages and deformations. The timber is with fine structure and silky smooth surface, without blemishes (knots).